PropaGator » AUVSI Conference 2015!!!! 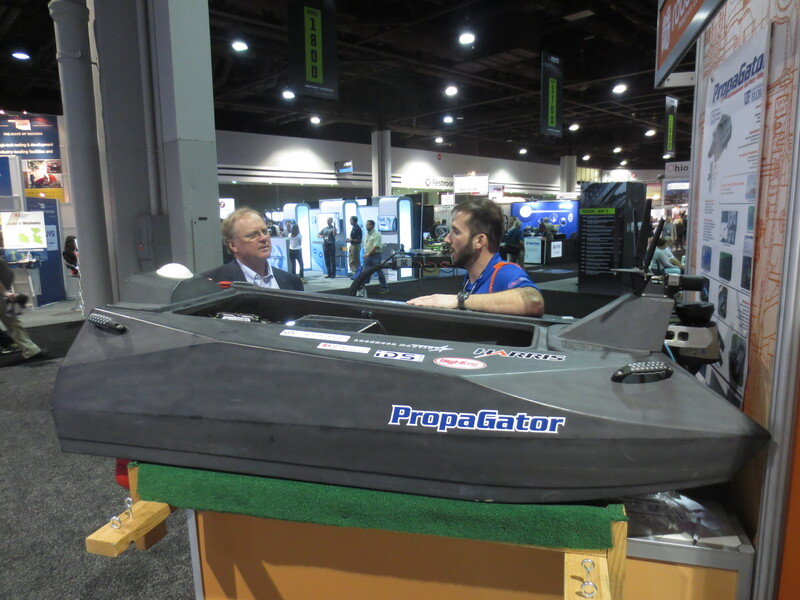 The AUVSI Foundation allowed us to show off our boat and sub at the 2015 AUVSI conference held in Atlanta! 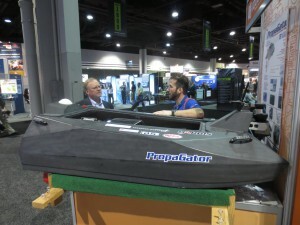 PropaGator 2 and SubjuGator 7 attracted quite a crowd every day. The team was peppered with questions on how we controlled our vehicles, how we made our platforms, what types of batteries we used, and many more. 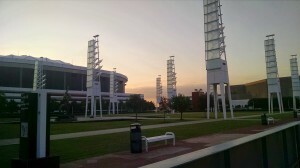 By the end of the 3 day event, most of us had lost our voices. 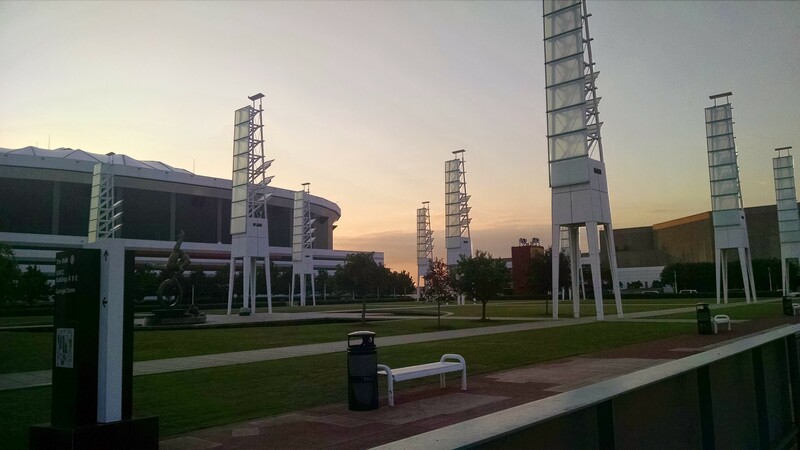 We’re looking forward to the 2016 conference. On the last day of the conference, Dan and I gave tours to local high school students. 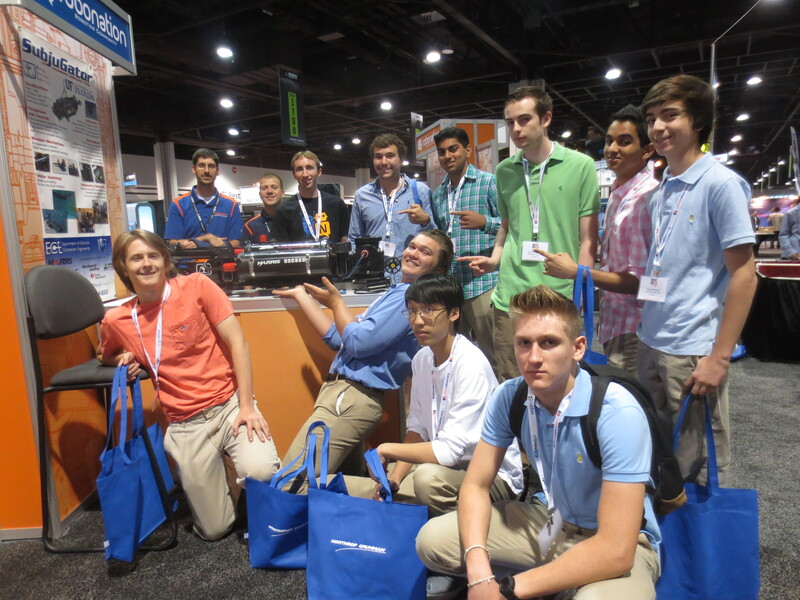 None of them had heard of AUVSI before and all were in awe when we brought them to the show floor. While they enjoyed seeing the vehicles, they’re favorite part of the tour was getting free handouts from the distributors.